The Battle of Passchendaele (German: Flandernschlacht, French: Deuxième Bataille des Flandres), also known as the Third Battle of Ypres, was a campaign of the First World War, fought by the Allies against the German Empire. [a] The battle took place on the Western Front, from July to November 1917, for control of the ridges south and east of the Belgian city of Ypres in West Flanders, as part of a strategy decided by the Allies at conferences in November 1916 and May 1917. Passchendaele lay on the last ridge east of Ypres, 5 mi (8.0 km) from a railway junction at Roulers, which was vital to the supply system of the German 4th Army. [b] The next stage of the Allied plan was an advance to Thourout–Couckelaere, to close the German-controlled railway running through Roulers and Thourout. Further operations and a British supporting attack along the Belgian coast from Nieuwpoort, combined with Operation Hush (an amphibious landing), were to have reached Bruges and then the Dutch frontier. The resistance of the 4th Army, unusually wet weather, the onset of winter and the diversion of British and French resources to Italy, following the Austro-German victory at the Battle of Caporetto (24 October – 19 November), enabled the Germans to avoid a general withdrawal, which had seemed inevitable in early October. The campaign ended in November, when the Canadian Corps captured Passchendaele, apart from local attacks in December and the new year. In 1918, the Battle of the Lys and the Fifth Battle of Ypres were fought before the Allies occupied the Belgian coast and reached the Dutch frontier. A campaign in Flanders was controversial in 1917 and has remained so. The British Prime Minister, David Lloyd George, opposed the offensive, as did General Ferdinand Foch the French Chief of the General Staff. Field Marshal Sir Douglas Haig, commanding the British Expeditionary Force (BEF), did not receive approval for the Flanders operation from the War Cabinet until 25 July. Matters of dispute by the participants, writers and historians since the war, have included the wisdom of pursuing an offensive strategy in the wake of the Nivelle Offensive, rather than waiting for the arrival of the American Expeditionary Force (AEF) in France. The choice of Flanders over areas further south or the Italian front, the climate and weather in Flanders, the choice of General Hubert Gough and the Fifth Army to conduct the offensive, debates over the nature of the opening attack and between advocates of shallow and deeper objectives, have also been controversial. The passage of time between the Battle of Messines (7–14 June) and the Battle of Pilckem Ridge (31 July, the opening move of the Third Battle of Ypres), the extent to which the internal troubles of the French armies motivated British persistence with the offensive, the effect of the weather, the decision to continue the offensive in October and the human cost of the campaign on the soldiers of the German and British armies, have also been argued over ever since. Various casualty figures have been published, sometimes with acrimony but the highest estimates for British and German casualties appear to be discredited. In the Official History, Brigadier-General J. E. Edmonds put British casualties at 244,897 and wrote that equivalent German figures were not available, estimating German losses at 400,000. Edmonds considered that 30 percent needed to be added to German figures, to make them comparable to British casualty criteria. In 2007, Sheldon wrote that although German casualties from 1 June – 10 November were 217,194, a figure available in Volume III of the Sanitätsbericht (1934), Edmonds may not have included them as they did not fit his case. Sheldon recorded 182,396 slightly wounded and sick soldiers not struck off unit strength, which if included would make 399,590 German losses. The British claim to have taken 24,065 prisoners has not been disputed. In 1940, C. R. M. F. Cruttwell recorded 300,000 British casualties and 400,000 German. Wolff in 1958, gave German casualties as 270,713 and 448,688 British. In 1959, Cyril Falls estimated 240,000 British, 8,525 French and 260,000 German casualties. John Terraine followed Falls in 1963 but did not accept that German losses were as high as 400,000. A. J. P. Taylor in 1972, wrote that the Official History had performed a “conjuring trick” on these figures and that no one believed these “farcical calculations”. Taylor put British wounded and killed at 300,000 and German losses at 200,000. In 1977, Terraine argued that twenty percent needed to be added to the German figures for some lightly wounded men, who would have been included under British definitions of casualties, making German casualties c. 260,400. Terraine refuted Wolff (1958), who despite writing that 448,614 British casualties was the BEF total for the second half of 1917, neglected to deduct 75,681 casualties for the Battle of Cambrai, given in the Official Statistics from which he quoted or “normal wastage”, averaging 35,000 per month in “quiet” periods. Prior and Wilson in 1997, gave British losses as 275,000 and German casualties at just under 200,000. Hagenlücke in 1997, gave c. 217,000 German casualties. Sheffield wrote in 2002, that Richard Holmes’s guess of 260,000 casualties on each side, seemed about right. 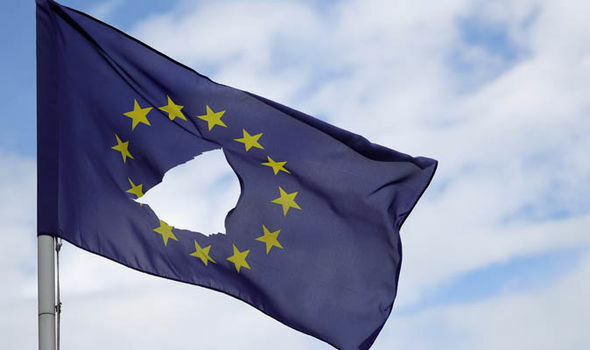 Spain / EU: The Torment And The Death – Supported By The EU Each Year – Money For Death – Why We HATE The EU ! On bullfighting I would like to say a few things. Perhaps this is known to most, or perhaps not. Known or not known, the bullfighting is not a tradition, is and remains cowardly murder. Bull “fight”: animal cruelty and a billion-dollar business! According to estimates by animal welfare organizations, the annual turnover of the bullfighting industry in Spain is between 1 and 2.5 billion euro. 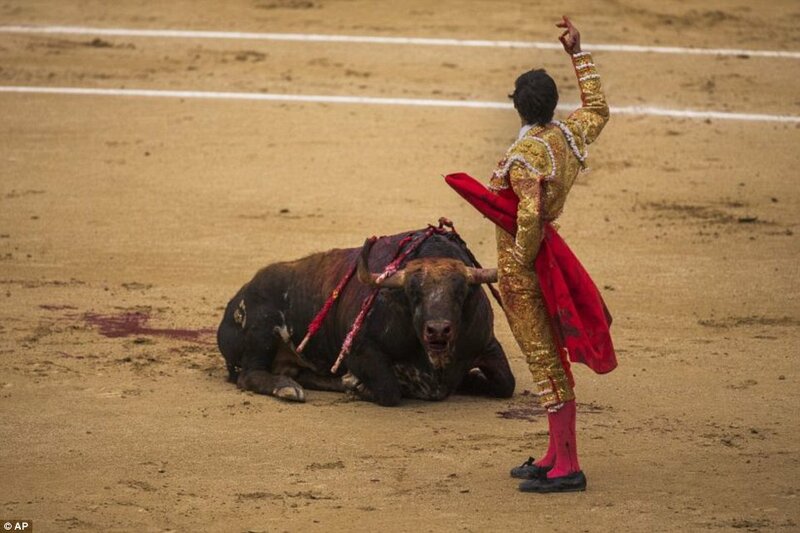 200,000 jobs are procured in Spain, through the brutal execution of 40,000 bulls. The professional groups that benefit from this massacre are many: Promoter of the events, simple bullfighting workers, up to the slaughterers, who later smash the sacrifice and sell as meat. The breeding of the bulls and everything related to it must also be considered. They all want to participate in the big pot of the industry. In addition, bullfighting is a tourist attraction, such as paella and flamenco. The Spanish audience expects from a bullfight an especially good entertainment. One sits, one eats hamburger, and make calls with the cell phone, while down in the arena a living being is brutally massacred. Of the tourists, Americans and Japanese are the predominant proportion of bullfighting visitors. Most tourists go to the bullfight because they consider it a part of the country’s culture. In 2013, the Spanish government protected the bullfight and since then this bloody massacre has been considered an ” immaterial cultural property ” in Spain. This was one of the greatest cultural shame in Spain, which has also led to economic corruption. For EU agricultural subsidies, 130 million euros are earmarked each year for the breeders of bulls. 30 million comes from Germany. The word bull “fight” is wrong, intentionally wrong. There is no fight between equal partners. It is not the battle of a bull against his fellow-species. A bull is prepared in such a way that he loses the fight against a murder beforehand. The bull is kept in the dark for days before the massacre. Heavy weights are hung around his neck for weeks. To aggravate his vision even more, Vaseline is lubricated in his eyes. His nose is tamped with tampons to make him breathing harder, and needles are put into the testicles to “pinpoint” him with pain. And so they send the “equals” combat partner into the arena! The first act is about the mutual learning of Matador and bull. 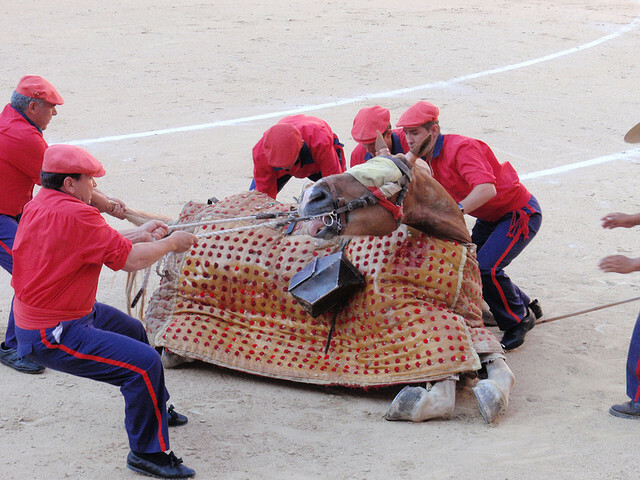 Again and again the animal is wounded by the Picadors, the mounted helper of the bullfighter, with lances in the neck area and weakened by the blood loss. These targeted stitches in the neck of the bull make him lower his head more and more. A preparation for the final act. 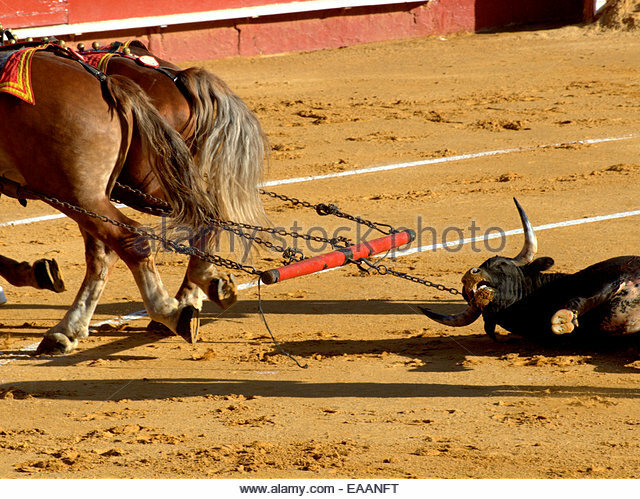 – horses also suffer in bullfights ! Act 2: Tercio de banderillas (The third of the banderillas) During the second act, sharp rods are stabbed into the shoulders of the Bull by Banderilleros. This leads him to lose his strength and his aggression level continues to rise. A macabre game with the life of the beast, which is now beginning to struggle for his life. Now the Matador returns to the arena. There is a dance between Matador and his victim. With a deliberate push between the shoulders of the animal he tries to pierce the completely exhausted animal directly into the heart. The cleaner the better. One has to imagine that the sword is completely inside of it and its organs are broken down. The bull does not fidget now, he is incapacitated, but fully conscious. In this state the ears and the tail are cut off. He is also dragged out of the arena by mules. 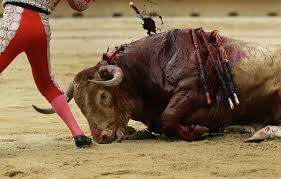 Spanish bullfighting is not a tradition, it is an industry, an industry built on blood and torture. And as long as these crimes are supported and financed by the EU, as long as the EU is doing corrupt business with bullfighting, animals are massacred and together with them, including civilization in Spain. The ‘masters of death’ – Tusk and Junker – EU officials turning the other way when it comes to animal abuse and suffering. News Just In – 28/7/17. Last year, you took action to urge the Spanish Balearic Islands to ban bullfights that subject bulls to cruelty in the name of entertainment. Just this week, the Parliament of the Balearic Islands passed measures making it impossible for these cruel events to take place. Because of your compassionate voice, bulls will no longer suffer and die in this community during cruel and outdated blood-sports. This life-saving victory sends a message to the rest of Spain and the world that there is no future for bullfighting and that spectacles of animal cruelty belong in the past. Thank you so much for taking action and for caring about animals. 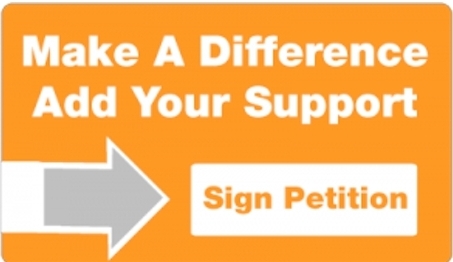 New Zealand: Petition – Justice For Confined Pigs Jabbed In Heads With Pipes. Goal: End cruelty in the factory farming industry. Pigs are seen confined to tiny crates and beaten with pipes in disturbing footage published by an undercover animal investigation. In an undisclosed pig farm in Waikato, New Zealand, footage taken by welfare organizations Farmwatch and Save Animals From Exploitation (SAFE) shows sows biting and struggling against farowing cages, or tiny cages designed to limit the movement of mother pigs so that they don’t roll over onto their piglets. The video shows the sows unable to turn around or take more than a step in either direction, and barely able to lie down for weeks at a time. The shocking footage also shows piglets being pulled away from their screaming mothers and thrown into containers, as well as an employee using a feeding pipe to jab a sow in the head. Unfortunately, this abuse is commonplace in the pig farming industry. These cruel cages are the industry standard, and animal abuse tends to run rampant in farms, where financial profit is often valued over the welfare of the animals. The government recognized that farrowing crates are inhumane and a breach of New Zealand’s Animal Welfare Act, which requires animals to be able to engage in natural behaviors. However, according to SAFE, new welfare standards put in place to remedy the cruelty only require a small amount of extra space in crates, still leaving sows unable to move or turn around. These crates should be banned altogether, and increased punishments for animal cruelty by farm workers must be implemented. Demand that the New Zealand government make an effort to stop the cruelty rampant in the factory farming industry. An undercover investigation of an undisclosed pig farm in Waikato has revealed shocking abuse. Pigs are seen confined to tiny cages, unable to move and barely able to lie down. They are seen struggling against their cages and being prodded and jabbed with feeding pipes. Unfortunately, this cruelty is commonplace in the pig farming industry. Farrowing crates should be completely banned, and increased punishments for animal cruelty by farm workers must be implemented. 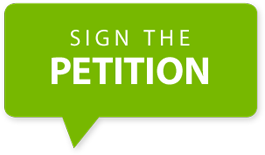 We, the undersigned, demand that you implement new protections to stop the cruelty rampant in the factory farming industry. EU / Spain: Bull kills itself after Spaniards tie burning torches to its horns in sickening video – and the EU; they do nothing just like always. 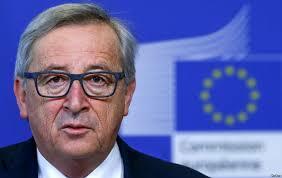 – Here we go again; gutless EU politicians doing nothing to undertake the wishes of the EU citizens. Instead, these brain deads simply hide and declare, “we can do nothing; it is Spanish tradition”. So with EU funding; these animals continue to be tortured and abused, whilst EU politicians turn a blind eye to the suffering, whilst protecting the church and the ‘tradition’ that Spain is world famous for – that of causing abuse and suffering to many animals. There are many hard working campaign groups in Spain, asking for change; but the dragknuckle EU and it masters do not wish to do what the people want. 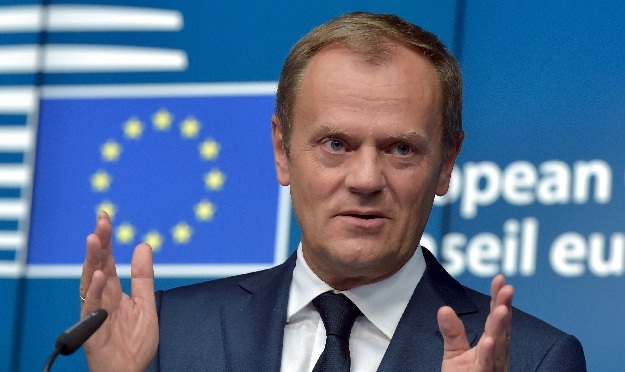 Mr. Tusk, regarding the EU improving the welfare of animals, you have no actions – you exist on a different planet named ‘Brussels’. Have a read of the following Mr Tusk; oh no you are too busy rather than blabbering out your words which you hope will pacify all. 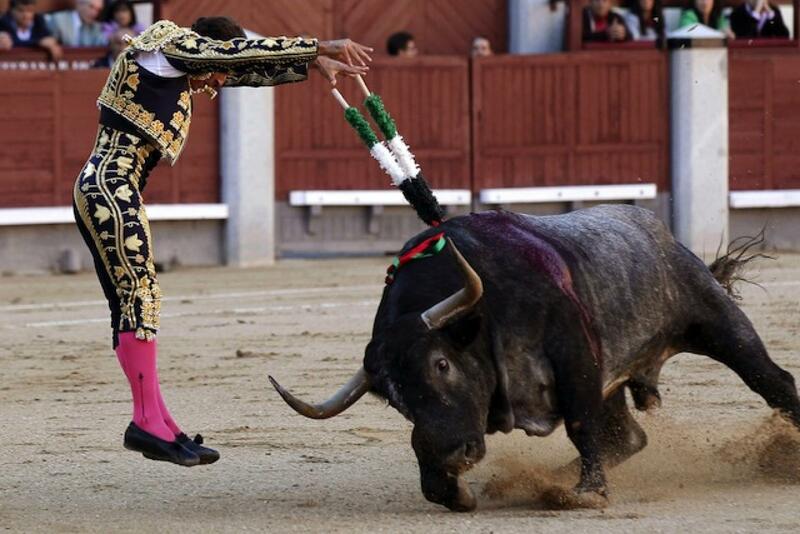 The animal had earlier gored a man during the ‘Bulls in the Street’ festival in Foios, near Valencia. A terrified bull killed itself in a panic after Spanish festival organisers tied burning torched to its horns during at a celebration near Valencia, prompting outrage from animal rights campaigners. The half-tonne creature found itself tied to a post in front of an enthusiastic crowd of several hundred townspeople during the ‘Bulls in the Street’ festival in Foios , a scaled-down version of Pamplona’s famous Running of the Bulls. The animal freaked out when flaming stakes were tied to its horns and it was released from the post, which it then inadvertently charged into, killing itself instantly. The crowd’s excitement turned to shock as the bull killed itself in front of their eyes, suggesting that they had not expected him to die this way. The bull had gored a man in the leg earlier yesterday during an organised street run by local media, according to local media. It is not known if this is the reason he was chosen for the evening’s festivities. The footage was obtained by the group Bulls Defenders United and uploaded to Facebook on Sunday (23 July). It has since been viewed more than 150,000 times. “How many lives will still be taken in the name of traditions that are nothing but barbarity?” the group said in a statement accompanying the video. Supporters of the Bulls in the Street festival argue that the animals rarely suffer any harm and the tradition stretches back several hundred years. 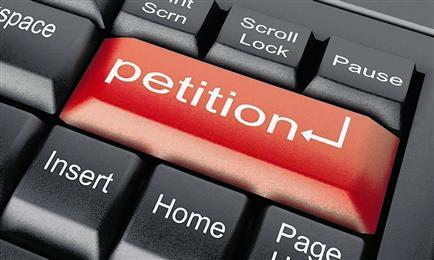 However, Facebook users responded with a mix of anger and concern about animal rights inside the EU nation. “I worked for a Spanish state-owned broadcast station, and I had to film several ‘corridas’. Seen only feet away, they’re not disgusting – they are absolutely horrific,” wrote Jorge Gea Gilabert. “You can hear blood bubbling from open lung wounds. I didn’t like bullfighting, but since then I HATE It. 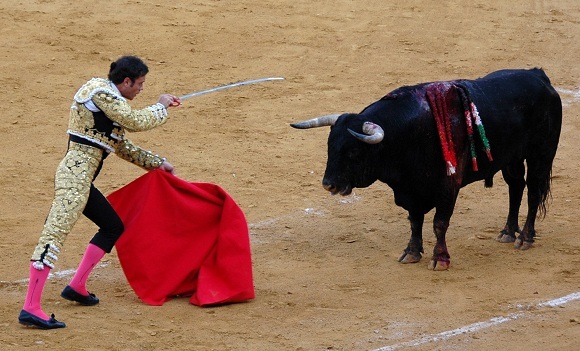 Not all Spaniards like bullfighting,” he added. If you wish to see it, and it is sick; a video of the event should be available to watch by clicking on the following link. UK: Cows’ milk CAN be branded ‘inhumane’ after ‘landmark’ ruling for vegan campaigners. VEGANS may brand milk production “inhumane” after the Advertising Standards Authority (ASA) ruled in favour of an activist group’s anti-dairy campaign. The ruling has caused fury among dairy farmers, who have branded the advert, placed in national newspapers, “misleading”. But vegan campaigners have said the ruling proves their claim that milk production involves cruelty to young cattle. 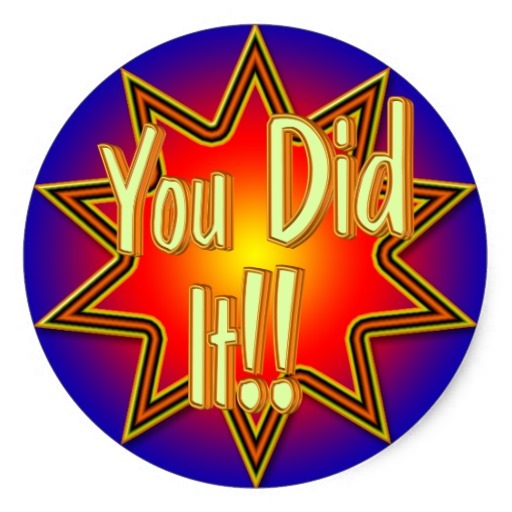 It is estimated more than 540,000 vegans now live in Britain, up from 150,000 ten years ago. Switzerland: News From Venus Re Hunting. I received this pleasing information a few days ago and wanted to make it public. It is about an initiative of the Swiss animal party to bribe hobby hunting and to organize forest guardians for nature and animals in the forest. In Canton Geneva is the private hunting since 9. Mai 1974 prohibited. It is replaced by the so-called administrative hunting in which the hunting duties of cantonally hunted hunters, the gamekeepers are concerned. On Tuesday, July 18, 2017, the Swiss Animal Party (TPS) submitted the national initiative “gamekeeper instead of hunters” to the canton of Zurich. “The popular saying ‘To care and to tend’, which is popular among hunters, for the justification of a bloody hobby is an old myth”, says the co-founder and president of the Swiss Animal Party (TPS) Monika Heierli-Rutishauser, “today it is scientifically proven that nature regulates itself. This statement is confirmed by a variety of positive experiences in regions which are free of hunting grounds, including the Wild conservation region of the city of Zurich. It is now known that the hunting of the wild animals does not lead to a regulation of the stock, but is the cause of the problem, since the fertility (birthrate) of the wild animals increases by the hunt! The initiative demands that the stock of wild animals be given the opportunity to regulate themselves in the future, and therefore relies on modern, supportive wildlife management by professionally trained gamekeepers. This will abolish today’s hobby-hunting, and will lead to various positive effects, as can be read in the initiative text and its explanation.